In 2009, hyperlocal marketing became every marketer’s favorite buzzword. Hyperlocal marketing entails extremely targeted campaigns designed to lay emphasis on a particular city or region. The idea behind it is that consumers respond better to marketing campaigns when it holds some relevance to them. That explains the rise in personalized advertisements. A consumer does have the capability to turn this setting off but 71% of consumers prefer advertisements that are tailored to their personal interests and shopping habits. Hyperlocal marketing has gained immense popularity which is evident by the number of companies that have cropped up that curate such experiences for consumers. Even Airbnb entered the foray by inviting users to experience the city like a local. The metrics of success for hyperlocal marketing can also be measured by the increase in the number of local searches online. 72% of consumers that perform a local search visit a store within 5 miles. 28% of searches for ‘ X near me’ results in a purchase. 50% of local searches on mobile lead to consumers visiting that store with a day. These statistics also prove that more and more consumers are willing to receive a beacon campaign. 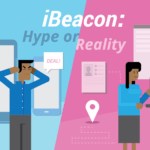 Beacon campaigns are the epitome of what makes hyperlocal marketing so popular. Relevant, contextual and targeted information is what consumers seek from a potential marketing campaign and beacons are engineered to do just that. Proximity marketing has been experimented with over the years but few technologies hold a candle to Bluetooth beacons. It is cost-effective, has a relatively simple implementation and always works as intended. From big-box retailers to small businesses, beacons have been deployed across several different verticals bringing in a much higher ROI. One of the most widespread uses of beacons in hyperlocal marketing is to send out lucrative deals and offers to customers in and around a business. This helps drive customers to that particular business as well as keep the in-store visitors engaged. Retailers like Macy’s, Lord & Taylor and Target use beacons in their store to greet customers with products that are relevant to them based on their shopping history. BLE beacons are frequently used to invite local consumers to participate in a treasure or scavenger hunt which allows them to collect redeemable points. Bendigo Marketplace, a shopping center in Australia, deployed beacons all over the shopping center as part of a treasure hunt. The treasure hunt was deemed a success as the traffic to the marketplace rose by 3.5%. A mall in Denmark also followed suit in 2017 by designing a treasure hunt to keep children occupied while their parents shopped. Aside from being a great way to increase foot traffic, such treasure hunts are also a good opportunity to partner up with local businesses. 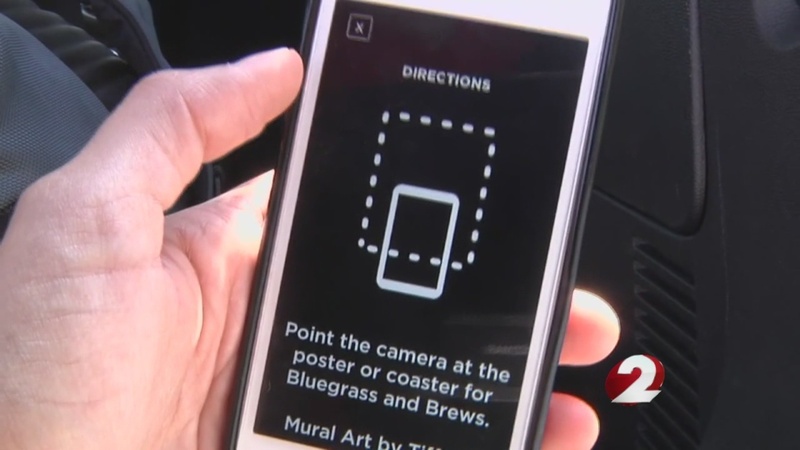 Mile Two, a Dayton software creator, partnered up with the city of Dayton to create a digital escape game called ‘Escape to Fairborn.’ This immersive game was created with the intention to increase foot traffic but it also had an added benefit. The interactive tale that the game spun had players visiting specific locations. Local eateries, businesses, and shops could link to the game via Bluetooth beacons. The players were able to pause the game and grab a sandwich or have a drink and get points and other incentives for doing so. ‘Escape to Fairborn’ can serve as inspiration for other local businesses to team up and create similar experiential shopping for their consumers. Out-of-home advertising is making the shift to becoming more interactive and dynamic and BLE beacons are the key. A good example is Diageo, a British alcoholics beverages company that partnered with London pubs to promote its Pimm’s brand. Tailored billboards were implemented such that when the outside temperature reached 16 degrees (the perfect temperature to have a beer), BLE beacons then directed pedestrians to their nearby pub to enjoy a beer. Weather-based hyperlocal marketing has seen a rise with brands like Subway as well that has seen a recent hike of 31% in foot traffic. Consumers have come to expect free WiFi at the very least when they visit a store. Beacons can be used to deliver a notification announcing free WiFi and the password (if there is one.) That’s not all. Apart from the relevant offers and discounts, BLE beacons can be used in a multitude of ways to improve a customer’s shopping experience. Customers that prefer to shop without a salesperson lurking around can make use of beacons to tell them all about a product. Scala’s ‘Lift and Learn’ technology turns their smartphone into a second screen and notifies them of all the important features of the product. For instance, in a grocery store, a customer can quickly check the nutritional information and the sell-by date on perishable items. The technology is also useful when a customer wants to compare two similar products. By picking up two products, the customer can be shown the differences on an LCD screen placed in the store as well as on their smartphone. With the likes of Amazon Go and Zippin making shopping such a breeze, other businesses have to start catching up to these cashier-less experiences. Beacons can be deployed in the store and allow customers to pay for their items from anywhere in the store without standing in lines. Deriving from the concept of digital treasure hunts, beacons can also be used to gamify a local business. For instance, points can be awarded to loyal customers who visit the store a certain number of times. These loyalty points can also be placed on using a specific product. Tommy Hilfiger’s Tommy’s brand came out with the Xplore line of smart Bluetooth clothing that awards fitness points to its wearers. Wearers can win points by either covering a set distance on foot or visiting a specific location. The smart clothing is integrated with the Xplore app available on iOS which also features a leaderboard to keep the spirit of competition. These points can be redeemed for special gifts and VIP experiences. Having a strong online presence allows local businesses to control their narrative. It also gives them an outlet to connect to their loyal and potential customers. 71% of consumers who have a positive interaction with a business on social media recommend that business to their circle. BLE beacons can be utilized to drive customers to visit a business’s social media handles or a specific landing page on their website. Customer feedback can be used to establish which marketing strategies are performing well and weed out the tactics that are not. Prior to visiting a store in-person, 97% of consumers read reviews of the business online. Using a strategically positioned beacon that prompts shoppers to leave a review online can work in a local business’s favor. Beacons can be programmed to direct users to Google Maps, Yelp or an equivalent site that will help drum up more business. BLE beacons can also be pushed to send out interactive customer satisfaction forms that can be used to evaluate what works and what doesn’t. 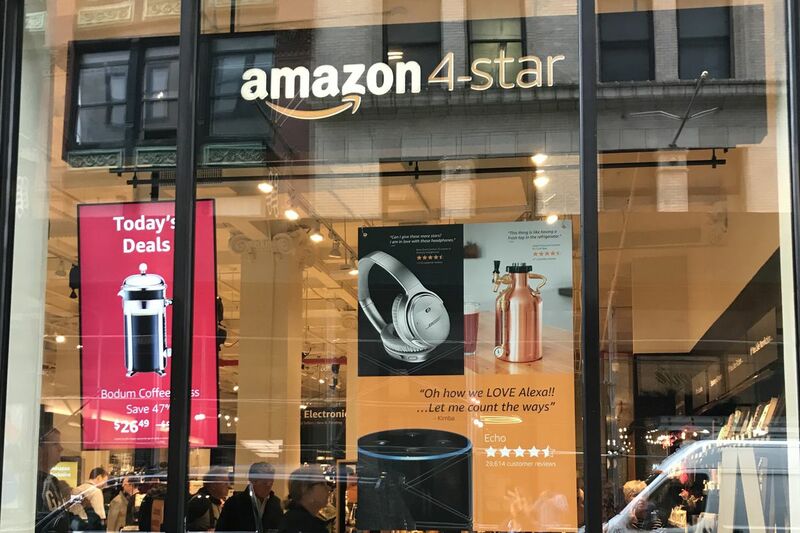 The Amazon 4-star store is another example of how consumer-backed inventory is going to be a new trend. The 4 star in the name indicates all products have been rated 4 stars and above online. Based on the online reviews and ratings, consumers get to decide which products they want in the store. A similar setup can be devised using BLE beacons. Beacons can be attached to an aisle or shelf that triggers a survey asking customers what products they would like to see. Hyperlocal beacon enabled session tracking entails keeping track of how long a customer spends in the store giving valuable insight to retailers or business owners about how effective their marketing is and which products are the most popular among consumers. Retailers can easily deploy this solution with the Beaconstac SDK in their own app to track customers and get more insights. Hyperlocal marketing can be improved by investing in retargeting. BLE beacons are also instrumental in retargeting customers on Facebook and Google. By introducing the Facebook pixel ID and the Google conversion ID, customers who previously visited a store can be retargeted. Retargeted advertisements have a CTR of 0.7% compared to a display advertisement with 0.07% CTR. Have you tried any of these hyperlocal marketing tactics? Tell us in the comments below. Adopt hyperlocal marketing strategies to improve the ROI of your local business with Beaconstac. An end-to-end solution with an intuitive dashboard that works seamlessly with our hardware to give you the best of beacon technology.